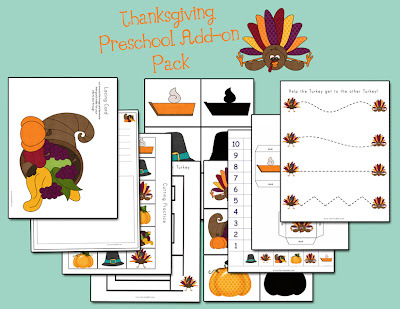 I wanted to make something that I could put with my Thanksgiving Tot Kit which can be found HERE. So I made a Preschool Add-on. Hi Lauren, love your blog, I just found it as I was looking for some learning activities for kids. Just wanted to give you a big thank you for putting out so much effort giving quality information for parents.